Taking it in: Seniors Jacie Parker, Rachael Ostempowski, coach Caryn Jackson, Ember Yates, and Melissa Blake (junior Linnaea Roberson not pictured) pose at the Orlando Citrus Bowl Stadium in Orlando, Florida. There, the five girls and other selectees performed in front of a crowd of 65,000 people during Citrus Bowl halftime show. [dropcap style=”flat” size=”2″]F[/dropcap]or senior Melissa Blake, watching girls twirl billowing flags through the air in parades was a thing of magic. She would stare wide-eyed at the TV screen, wishing she could one day stand in their shoes. Then, in her freshman year, her long lived dream became reality when she attended her first spin class. However, the glitz and glitter of performing comes with a price. The guard does routine stretches, dance, flag technique, body conditioning and practices their sequences to perfection. When another color guard instructor told Jackson about auditions for the Citrus Bowl held on January 1 in Orlando, FL, the Bowl tour director selected 10 color guard members to perform. Once they decided to go, more practice ensued. When it was finally time to perform, senior Ember Yates, a guard for two years now, felt the familiar nervous energy sweep through her, this time intensified by the boisterous crowd surrounding her. Despite her initial nerves, the cheerful faces and excited energy around her made the anxiety vanish by the end of the performance. While the guard usually performs at parades, competition shows and pre-shows to football games, Blake was shocked by the crowd of 65,000 at the Citrus Bowl. 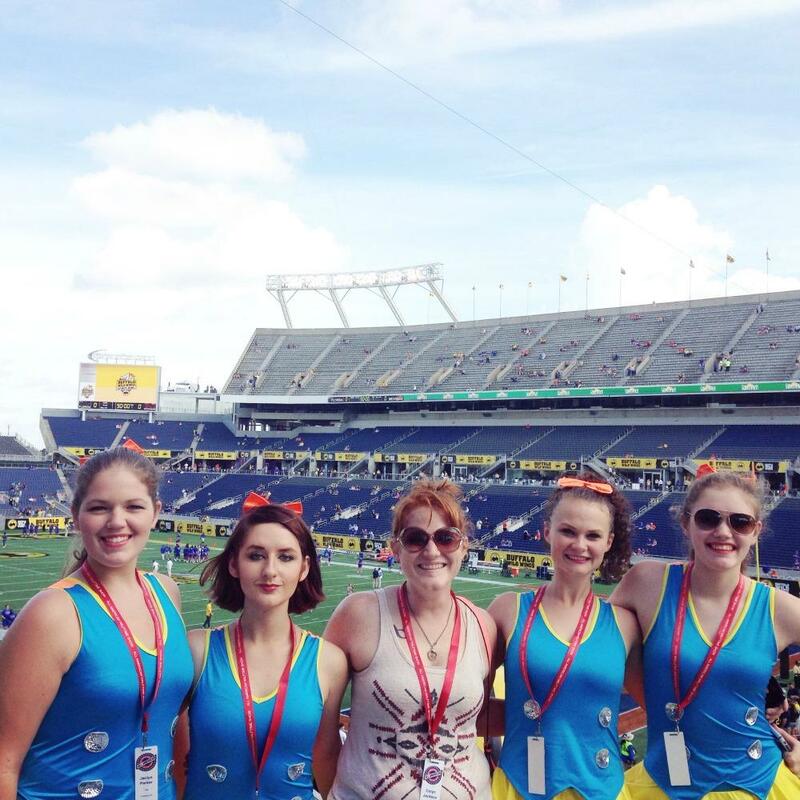 Despite the hard work that came with it, in Blake’s eyes, performing at the Citrus Bowl was like living out her dream. Because of experiences like this and other events that the guard performs at, Yates believes anyone can find enjoyment in being a part of their team. Have you ever been to the Citrus Bowl? Leave a comment below! Grace Vance is a senior, an EIC and the editor of commentaries. Softhearted and persistent, Grace goes the extra mile to perfect her needs and wants. She is passionate about her kittens, photography, and writing, and overly succeeds at maintaining a healthy lifestyle by eating kale salads and taking strolls in the great outdoors. Grace hopes to pursue an exciting career of journalism, serving the public one extraordinary story at a time.